Speaking about the T110 Heavy Tank series, these vehicles successfully raised many questions among people, especially about their existence. Even after deploying the M103 Heavy Tank, the Americans were still not satisfied with its performance on the battlefield. Thus, it was decided to recreate it again with 2 methods – evolutionary and revolutionary ones. 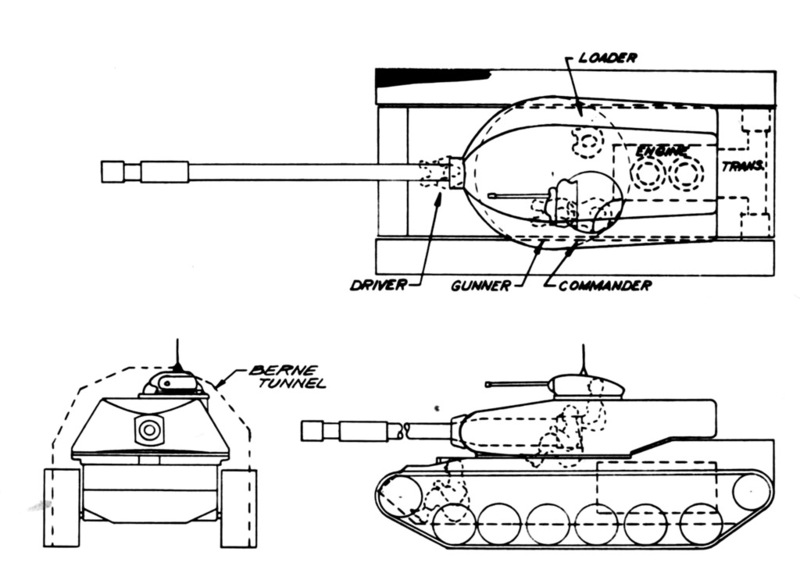 The former was an attempt to improve its performance by mounting an autoloader system, eventually resulting in the development of the T57 (120 mm) and T58 (155 mm, also a derivative from the T30 Heavy Tank). And the latter was an attempt to create the tank from scratch. 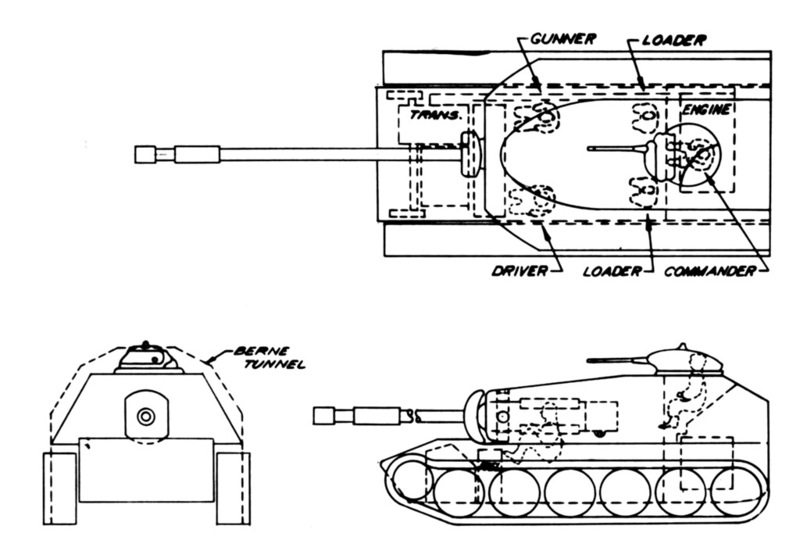 The T110 series’ history began in June 1954, when Detroit Arsenal had a conference concerning the further development of heavy tanks. The conference presented several options for development, including projects named TS-2, TS-5, TS-6 and TS-31. 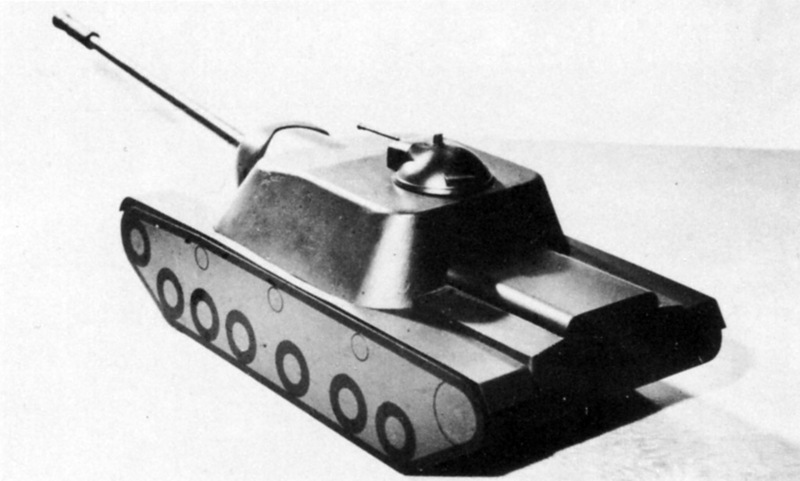 The TS Tank Concepts were supposed to achieve the most optimum design of a heavy tank, which was planned to bring them to the prototype stage within 2 years. The first basis on this matter was the TS-31, originally built as a combat vehicle armed with the 120 mm T123E1 gun, and it didn’t have a fully rotating turret. It’s fairly recognizable with (Seb: looking like) one of the US experimental super-heavy tanks known as T28/T95. 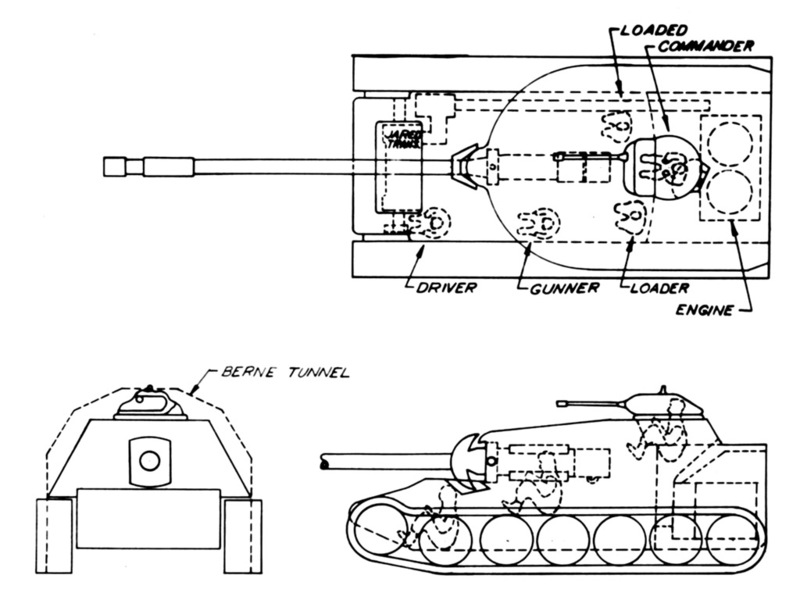 The basic design specifications that were required by the US Army were to enable the vehicle to cross an railway-sized tunnel such as Berne Tunnel. It was intended to use a 700 HP Continental AOI-1490 engine, combined with a XTG-500 transmission system. 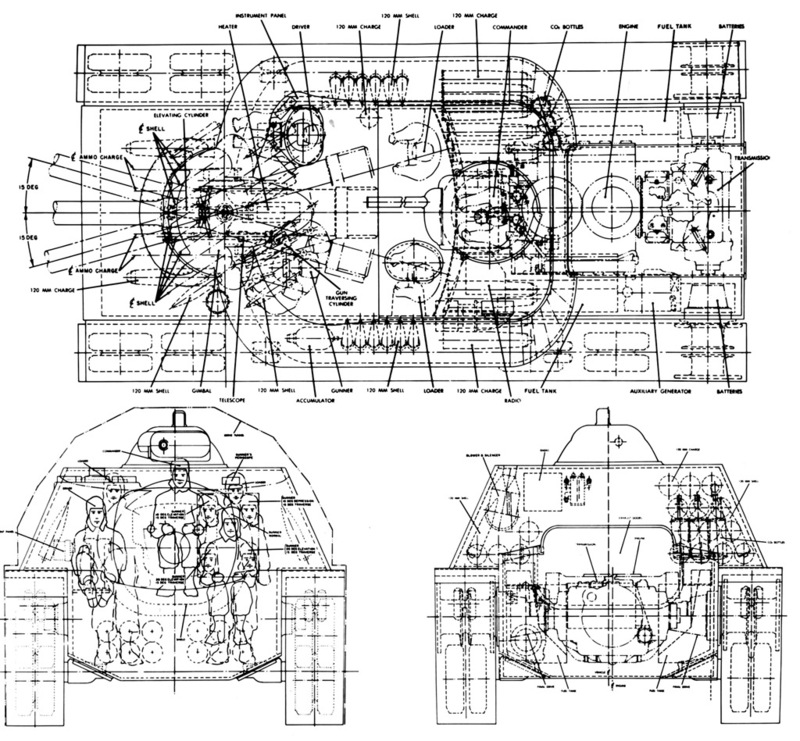 The engine would be placed in the rear section of the tank, while the transmission system was placed in the frontal section of the tank. The armor scheme was rather arbitrary, but the maximum thickness value was as high as 9″ (228.6 mm) from the gun mantlet. The initial project was slightly updated. 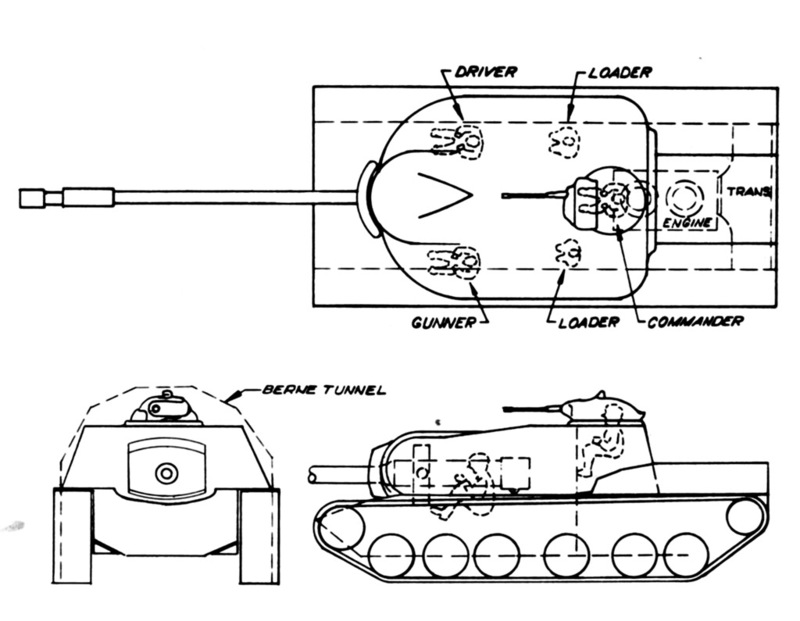 As the width of the current tank hull was still too big to fit in a tunnel, especially concerning its cupola position, they offered another change by repositioning the cupola to the center, thus making the commander to sit on the top of the motor bulkhead and experience the running 700 HP engine, and also positioning the driver to operate the tank with the other crew members in a single interior section. After a very short time, they changed the design again. This time, the driver position was returned to its initial place again, but the commander position was very, very unconventional and cramped. 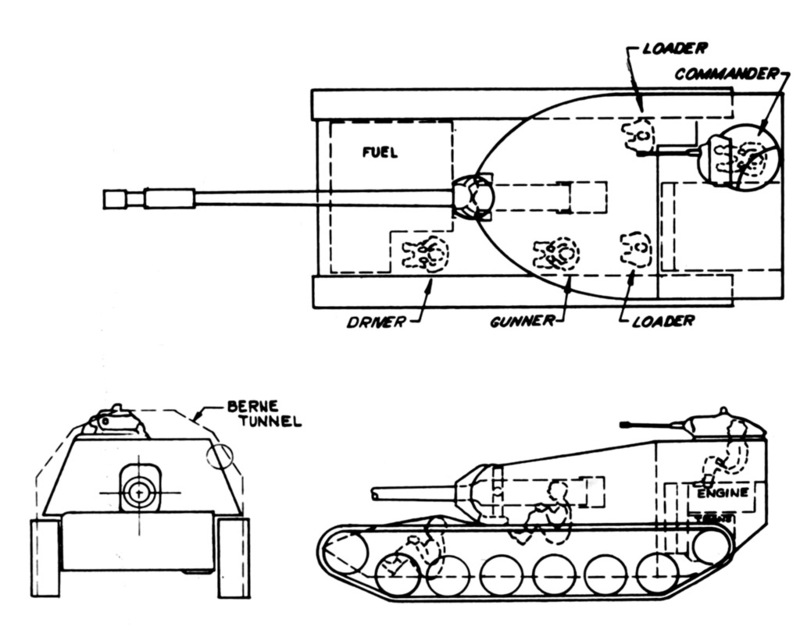 The rear section of the tank was made smaller, to accommodate more space for the engine compartment. As such, the concept didn’t last for long either. Due to very cramped space of the commander area, it had been repositioned again to the far right side of the tank. At the same time the engine was turned by 90 degrees, putting it lengthwise. As a result, its rear section became “higher”. 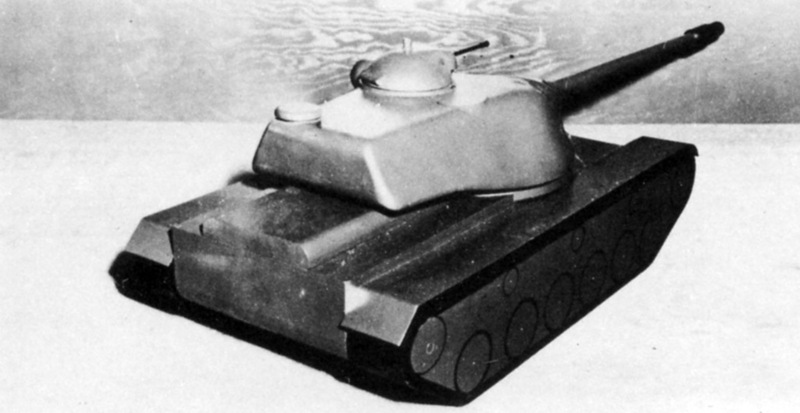 After the lengthy development of failed projects, the tank engineers were tired of developing the tank while maintaining the original T110 design, so they decided to act in a more radical way. By ignoring the length limit, they lengthened the hull, shifting the rear transmission system from directly below the engine to the rearmost section of the tank while making a standard engine compartment. The tank interior was also changed radically, at the same time returning back the whole crew positions in a single section again. It’s believed that this tank is the fourth variant of the T110 Heavy Tank series, designated as T110E4 (which is erroneously called T110E3 in World of Tanks). 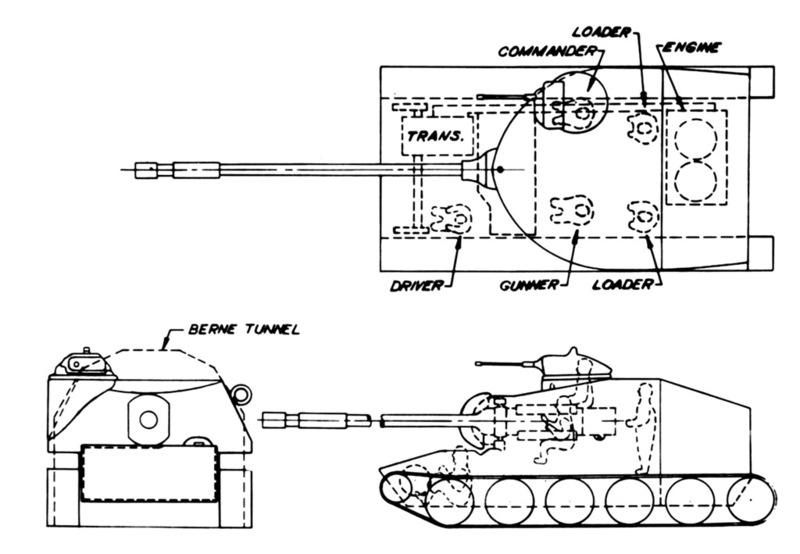 Even though by considering the number of the illustration, it’s at least the fifth variant of the T110. It’s the fourth variant of the T110 because the original T110 isn’t counted, as nearly every US Tank, with their respective initial variants, they didn’t receive any number indexes, such as M48, M60, and M103 (all initial variants, not the base or “one-for-all” designation) ). Instead, in World of Tanks, the original 120 mm T123E1 gun mount is replaced by the 155 mm T7E2, a completely unhistorical gun, and an “improvement” from the 155 mm T7E1 which was mounted on the T30E1 Heavy Tank. Surprisingly, at the same time, Detroit Arsenal planned to make another M103 variant armed with an 155 mm gun mount, even more so with an autoloader system (T58 Heavy Tank). 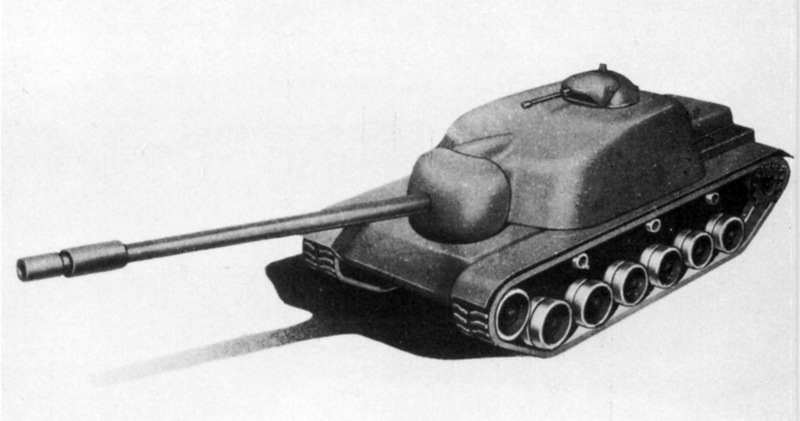 As a result, it was decided to launch the concept of the T110E5, but there was some little trouble. In February 1956, the T110E5 was cancelled, as the test site was already attended by the T43E2 Heavy Tank for trials, which was later put into service as the M103A1 Heavy Tank. Although it was not as perfect as the T110E5, it was already classified as suitable for the US Army and ready for production. ts 31 project was discontinued ? Why ?